Camp Canada by Nyquest recruits exceptional international staff to work at summer camps across Canada. We help with obtaining health insurance, a work permit and a Canadian bank account. We specialize in matching you up with a camp environment that you will love and excel in. We inspire young people to challenge themselves and explore the Canadian summer camp environment. Work at a Summer Camp in Canada! Camp Canada by Nyquest recruits staff from around the world for summer camp jobs in Canada. Simply put – we are the experts in recruiting and placing international staff at Canadian summer camps! Not only are we the only summer camp placement agency based in Canada, but we constantly receive excellent reviews & testimonials, and awards for our work to support camp staff. Thank-you so much for everything, for finding me an amazing job and for looking after me so well when I arrived in Toronto. I don’t think I could have done what I did this summer without your help, you’ll be pleased to hear that the directors have offered me a job for next summer, I loved it there and became ‘part of the family’, I can’t wait to go back! As a Canadian based company, we are your local experts! Every year we support hundreds of applicants to find their ideal summer camp job in Canada. Our supportive and knowledgeable team will assist your travel experience including work permit support, health insurance, and a Canadian bank account. At Camp Canada, we pride ourselves on providing exceptional service to support participants from the day you apply to your last day at camp. 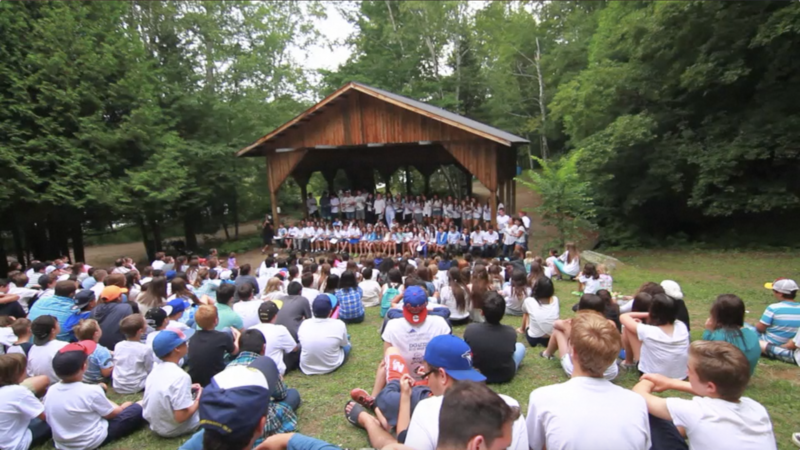 Read up on our blog about working at camp in Canada. Our years of experience allow us to place you at the ideal camp for your individual goals and interests! We have in-depth knowledge of each camp we work with, and our team strives to make the perfect match for every participant! We have a huge variety of positions available such as camp counsellors, activity leaders, outdoor instructors and support staff. If you’re not sure what role is best for you, we can advise! There is no better way to travel, work and play in Canada. Camp Canada by Nyquest has inspired thousands of participants to travel Canada, dive into new opportunities, become a true leader, and explore the outdoors. The experience of summer camp in Canada is exceptional, and we can’t wait to share the adventure with you!